Jim Miller, Cleveland Heights High School biology teacher, is no stranger to field work. Even so, two months of permafrost research as a PolarTREC teacher in Barrow, Alaska was like nothing he’d ever experienced. Miller participated in an NSF-funded project fronted by David Lipson (San Diego State University), Ted Raab (Stanford University), Lars Angenent and Elliot Friedman (Cornell University). The team is studying how, and how much, microorganisms living in permafrost thaw lakes contribute methane, a greenhouse gas, to the atmosphere. The team worked at four field sites located in the Barrow Environmental Observatory, a nearly 8,000- acre preserve reserved for scientific research. At each location they sampled soil from basins where lakes form as permafrost thaws. They cored soil from newly forming basins, old basins (about 50 years old), and from ancient lakes that may be up to 2,000 years old. Young basins are distinguishable by well-defined rims, larger size, flattish ground, and a thin layer of moss covering the area. Older basins can be more difficult to find as they are often overprinted by younger basins. Every week, the team sampled nine areas using a sensor designed to attract and count microbes in the soil. Miller also helped test acidity and the dissolved oxygen content in basin water samples. Researchers sent soil and water samples home for lab analyses to study differences in the lakes’ chemistry and microbiology. In addition, Miller participated in other research projects and community events. He helped scientists Greta Krafsur (Colorado State University) and Katie Kokx with necropsies, animal autopsies. The pair tests animals for cell abnormalities and contaminants, and for animal diseases like parvovirus Their studies on arctic seals, walrus, and foxes help keep animal populations in check and help keep the humans who eat these animals healthy. 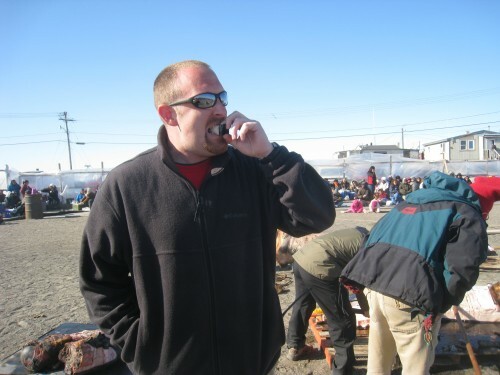 In late June, Barrow held the annual Nalukataq, a festival that celebrates the whaling season. Miller says he sampled muktuk, admired people in native dress, andwatched the blanket toss. Miller also witnessed the Inupiat Games at which people of all ages compete in events like rock juggling and nail pounding. The weekend culminated in a July 4th parade, egg toss, Umiaq races, and the Top-of-the-World Baby Contest. 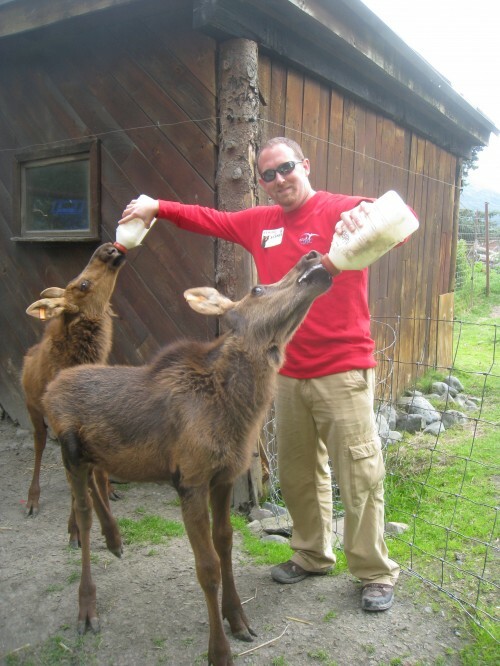 Also, on weekends he was able to travel and explore Denali National Park and Seward, Alaska broadening his experience of the amazing PolarTREC program. Pictures and a journal of his adventure can be explored here.